TALLAHASSEE – Starting this fall, thousands of additional Florida children will eat a healthy meal after school, thanks to a lobbying campaign supported by childhood hunger advocates. 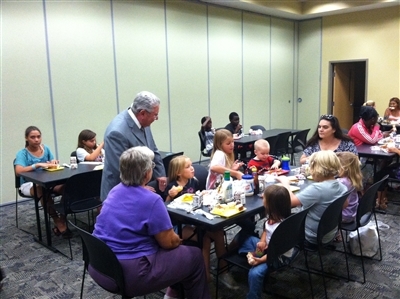 Florida Sen. Steve Wise, R-Jacksonville, talks with children at a summer feeding site in Jacksonville. Wise sponsored 2005 legislation that required summer food programs to be accessible to children in all 67 counties. This year's effort by Florida Impact expands access to food at afterschool programs. Photo from Florida Impact. 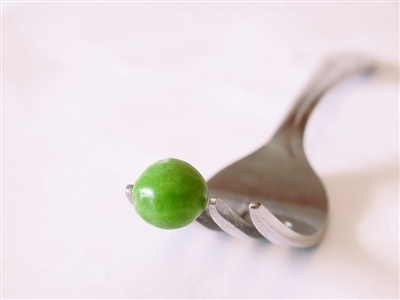 Florida Impact, a nonprofit group dedicated to reducing hunger and poverty in the Sunshine State, spearheaded the effort. The Florida United Methodist Church, a founding member of Florida Impact, works with the group to affect state social justice policy, mostly on childhood hunger issues. An amendment to the Legislature’s Early Learning Bill, signed into law recently by Gov. Rick Scott, clears the last administrative hurdle for the federal Afterschool Meal Program in Florida. The amendment, championed by Florida Impact, will allow hundreds of afterschool programs in the state, including many run by churches, access to federal funding to buy nutritious dinners for children. The United Methodist Association of Preschools (UMAP) encouraged state legislators to address the issue during Florida Advocacy Days, the Florida Conference's annual trek to Tallahassee earlier this year. Without the amendment, afterschool programs had to be licensed and meet certain criteria to be eligible for the federal subsidy. Florida ranks 12th in the nation in food hardship, according to Florida Impact. In 2012, the U.S. Census Bureau and U.S. Department of Agriculture determined that 29.2 percent of American families with children are struggling with hunger. A nutritious afterschool meal is not just about hunger, Vaughn said. 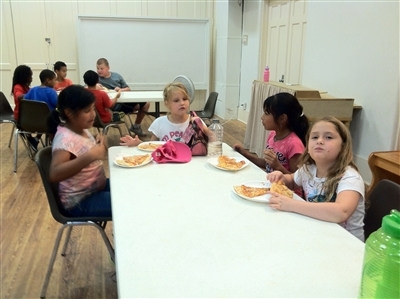 Children at Calvary UMC, Lake Worth, enjoy a meal this week at the church's Summer Food Service Program. Photo from C.R.O.S. Ministries. Congress expanded the federal Afterschool Meal Program in December 2010 to address hunger and under-nutrition among children who don't receive a balanced meal except at school. The program reimburses schools and nonprofits $3.08 for each nutritious supper provided in afterschool programs in low-income neighborhoods, allowing up to 15 percent to be used for administrative costs. 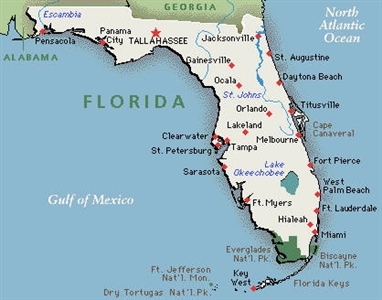 However, bureaucratic and administrative hurdles delayed the program in Florida. The amendment crafted by Florida Impact erased the last of those hurdles. It was inserted into the Early Learning Bill that was expected to pass in the Legislature, said Dr. Debra Susie, Florida Impact’s executive director. Prior to the amendment, afterschool programs were required to secure a full childcare license, even though this is not required by the federal program, she said. The amendment was the last major battle in a two-year campaign to implement the Afterschool Meal Program in Florida. Last year, Florida Impact secured wording in a Department of Health reorganization bill that authorized food and safety inspections for faith-based and certain nonprofit afterschool programs in order to meet federal requirements. Some afterschool programs also cited dual paperwork as a deterrent to signing up. Florida Impact organized a coalition of the state’s health and agriculture departments, along with Broward County Schools, the nation’s sixth largest school district, to help streamline that process. “We decided that rather than go with state legislation, which is a big deal, we would try to work this first through the rule promulgation process with no legislators, just state administrators,” Susie said. However, after waiting for two years for Florida to clear all the barriers to implementing the Afterschool Meal Program, Florida Impact decided to go directly to the Legislature to erase the final barrier: requiring a full childcare license. “Tucking away just a few words in the Early Learning Bill took care of the problem,” Susie said. An estimate of how many children will benefit from greater access to the Afterschool Meal Program can be determined by the number currently using the state’s afterschool snack program, with many more nonprofits expected to jump on board in the coming year, Susie said.